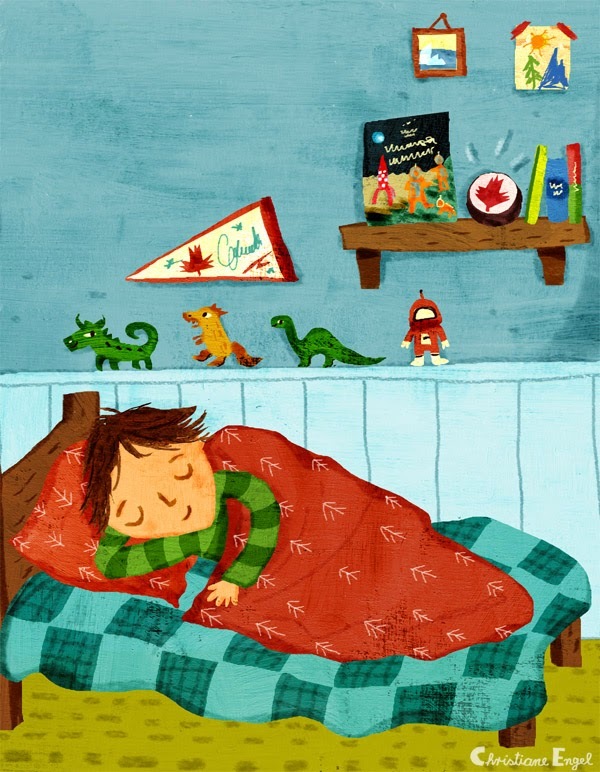 A cozy winter bedtime illustration from my book One Day - Around the world in 24 hours, published by Bloomsbury, written by Suma Din. This is Toby from Canada in this story about time zones, different cultures and day to day activities around the world. He loves ice hockey, Tintin Explorers on the Moon and lives in Quebec. He bought a souvenir at Collisee Pepsi today - can you spot it? I will try and share one of the many illustrations of this clever book each day of December as part of an online advent calendar!